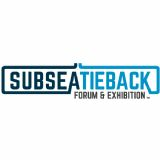 Subsea Tieback's firm foundation is its conference program. The audience is comprised of field supervisors and operations planning personnel, as well as engineering staff and management. The content addresses new operational issues, challenges, and solutions associated with global deepwater subsea operations. Dialog among strategic decision makers is facilitated through focused presentations, extended question and answer sessions, and networking. This exchange of knowledge represents experiences, applications, and current, real-world project examples.